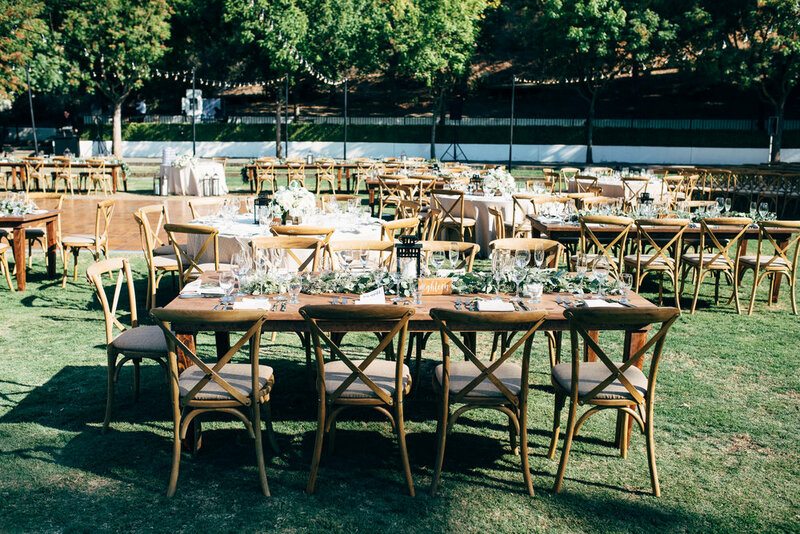 This amazing outdoor wedding held at Wente Vineyards in Livermore California was held on a beautiful summer day with a rustic natural theme and hints of sophistication and elegance. 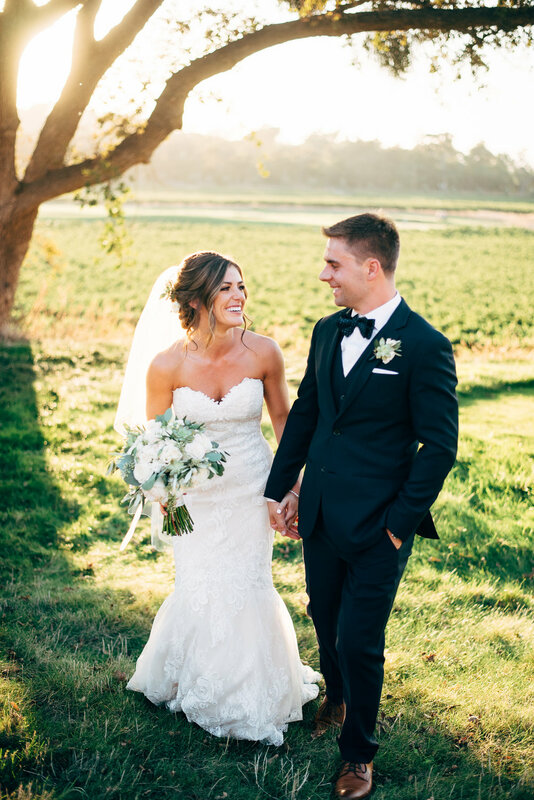 The bride carried a rounded bouquet of whites and greens including roses, lisianthus, mint succulents, olive and seeded eucalyptus. 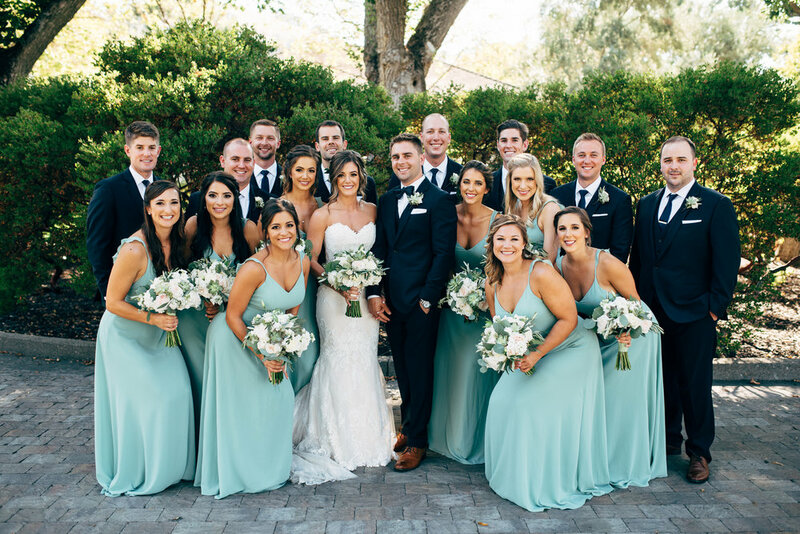 Her bridesmaids wore dusty sage dresses and carried bouquets matching the brides. 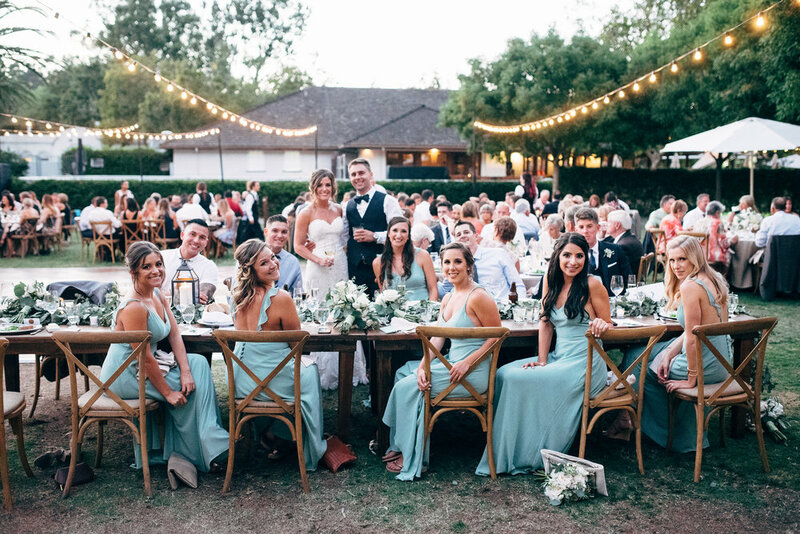 Held on the Terrace Lawn, the ceremony was rustic and chic. 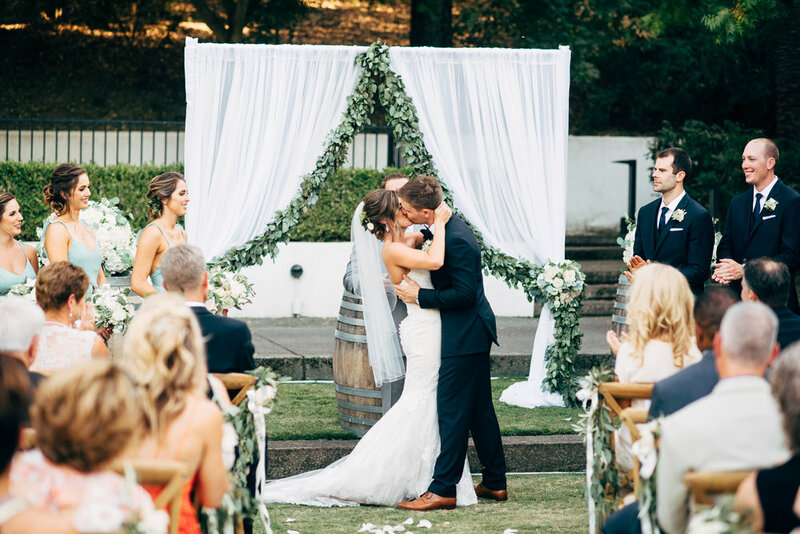 The altar was decorated with pipe and drape by Fantasy Sound with seeded eucalyptus garland and floral tie backs. Two wine barrels along side of the altar had large rounded arrangements. 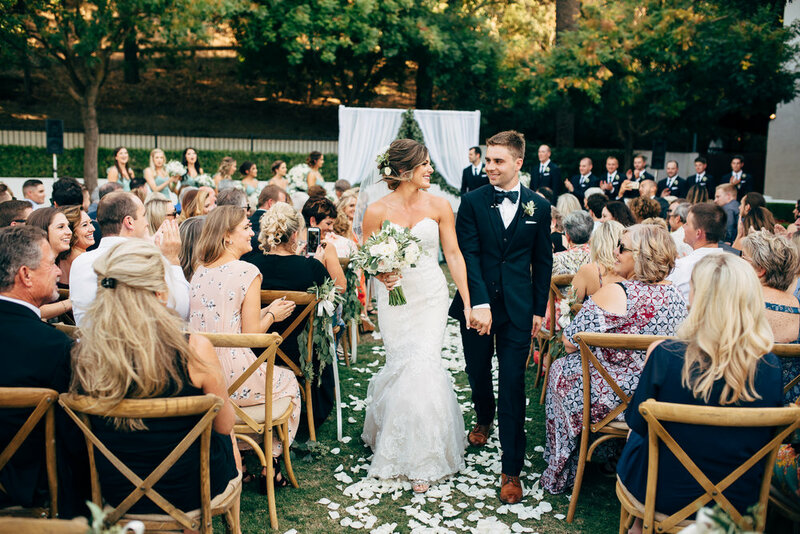 The aisle was scattered with white rose petals and the chairs had arrangements of dripping eucalyptus, garden roses and ribbon. 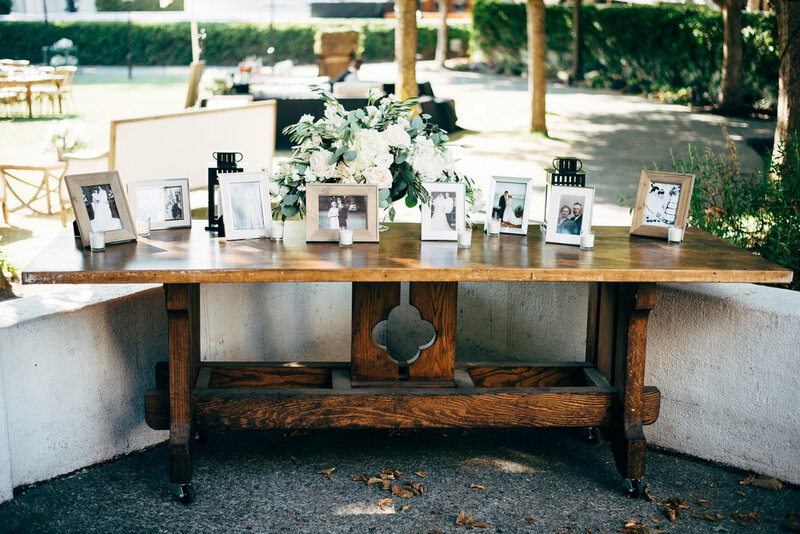 At the reception the sweetheart table had lanterns and a rustic arrangement spilling over the front of the table. 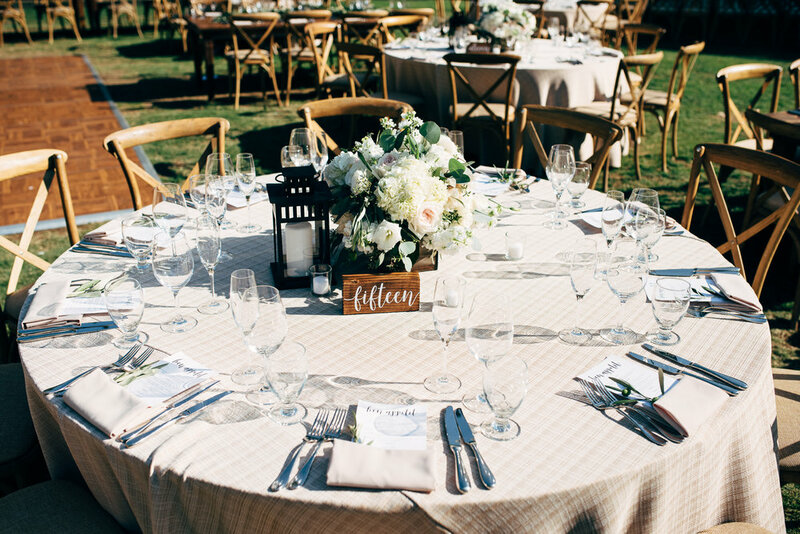 Long farm tables were adorned with seeded eucalyptus garland and the round guest tables with champagne linens by Napa Valley Linens had rustic wood boxes with a natural floral arrangement. 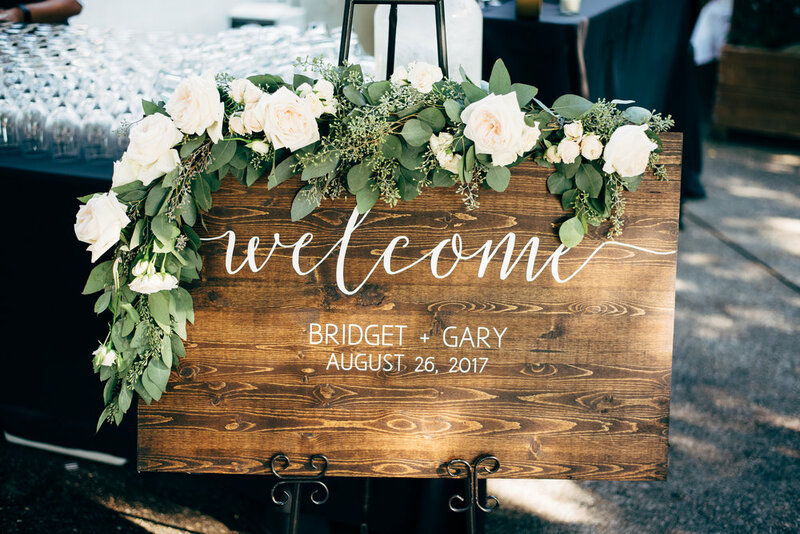 The welcome sign had a eucalyptus garland with tucked in flowers, matching the loose and natural footed dish arrangement on the guestbook table. 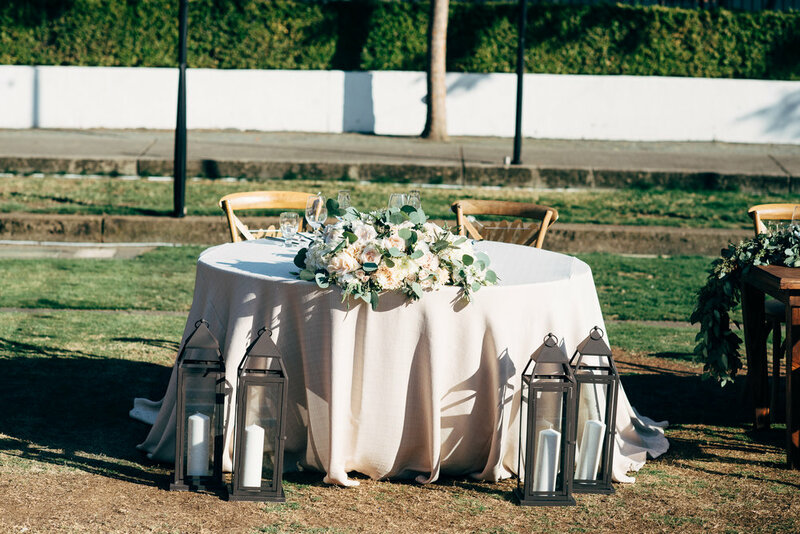 The cocktail tables each had a small bud vase with a garden rose and greenery. 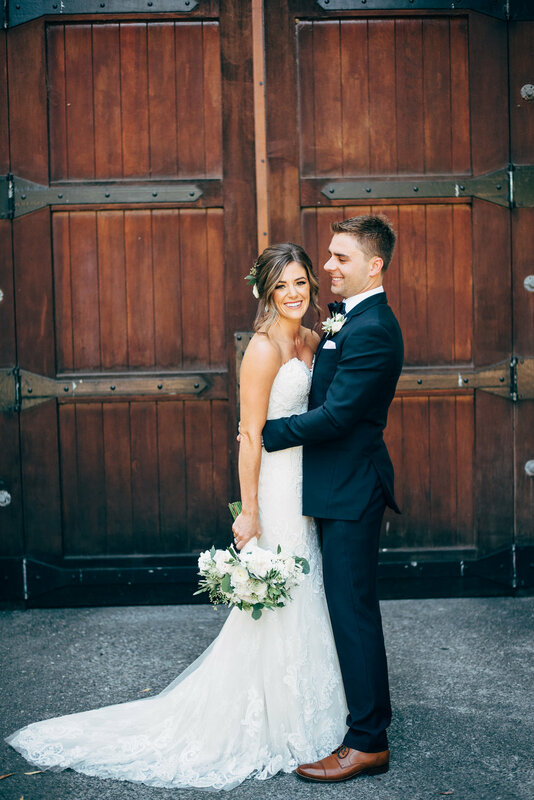 The beautiful photos were captured by Ken Kienow Photography.